Hola Lexicans! So today is the 13th of November, and in my eyes it is getting very near to Christmas, so I'm starting to do more and more festive things (buy gifts, decorate my room, write my wishlist etc etc) and that means you will definitely see me doing more Christmassy blog posts (although for those of you who don't celebrate Christmas, don't worry you won't be left out, as I'll have a variety still) and I thought to kick off my Christmas blog posts I would actually share with you the Christmas blog posts I have lined up so for the rest of you bloggers out there stuck with what festive posts you can do, I have compiled a list of 25 Christmas Blog Post Ideas. publishers are clever people you guys, there will always be heaps of great books releasing just in time for Christmas, so do a round-up of these! not Christmassy as such, but still a seasonal post! I know a lot of shops that have great Boxing Day sales, so let your readers know in advance so they can make sure they go there before all the good stock sells out. What would "gift swap with another blogger" look like? Thanks Lisa and lovely to e-meet you. I'm not sure but I know I saw them last year. There are lots of different ways but I just think you write what you got them, give a haul of what you got and then a little message to the other blogger. Or you could film an unboxing of the gift swap and put that on your blog? I'd totally go for that! Sounds super cool!! Ah this is great! I love number 23 and 4. This year is coming to an end so fast! I'm excited for the holidays though! All of these sound awesome! I think I'll try to use two of them.... want me to give credit to you in the post? Swapping presents with another blogger! That would be so cool! But we all live in different corners of the world, so it would be hard. But that would be amazing! I loved your list. 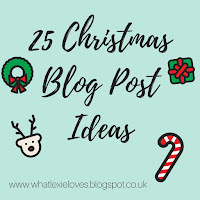 Also, I'm doing Blogmas this year! 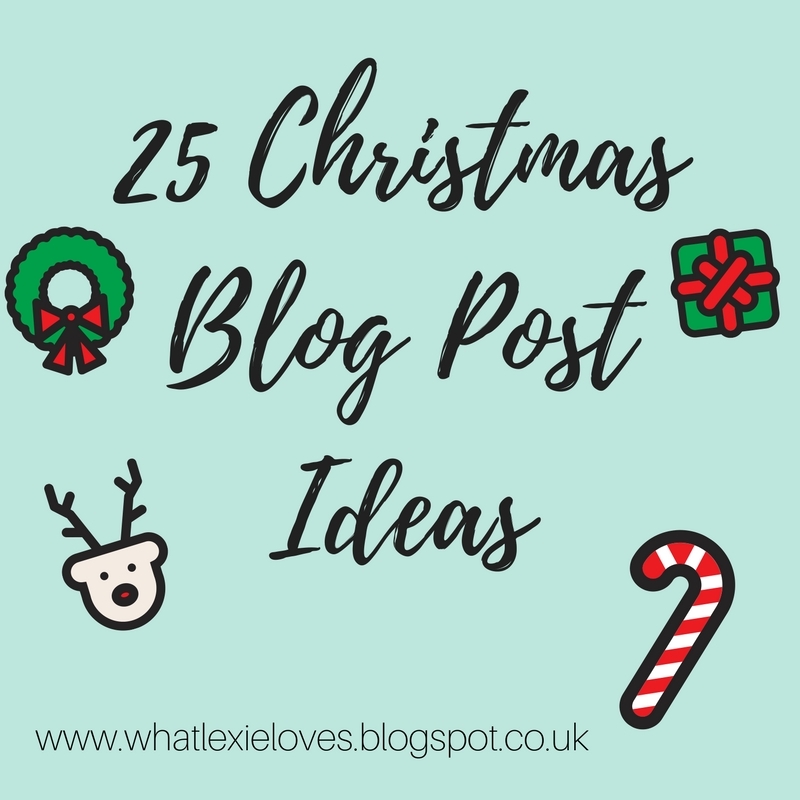 I write a post literally every single day in December leading up to Christmas day, and it is the BEST THING EVER. I've been writing like crazy because I didn't even pre-schedule all of them, but it is so fun! I also did a Christmas Gift Guide like you suggested. It is a really cool topic because I think everyone can give it their own twist and special touch since we all have different tastes. I loved this post!